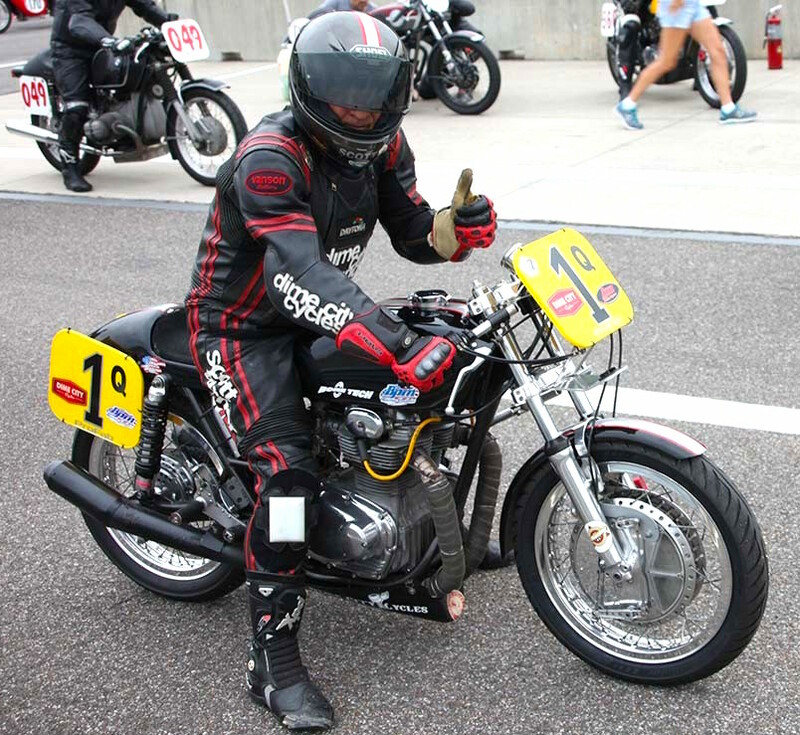 Over 3,000 vintage bike enthusiasts and competitors participate in AHRMA. Members share a passion for interesting old motorcycles as fully functional, high performance, rolling art, not as museum pieces. 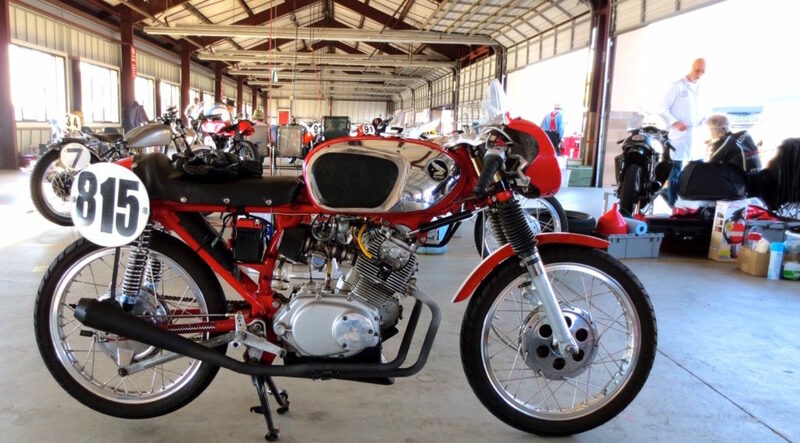 Via a myriad of vintage racing classes, AHRMA showcases these marvelous machines at top-shelf race circuits across the US. Many racers compete on machines similar to the actual rolling stock used during the heyday of Superbike racing in America, the late 70’s though early 80’s. 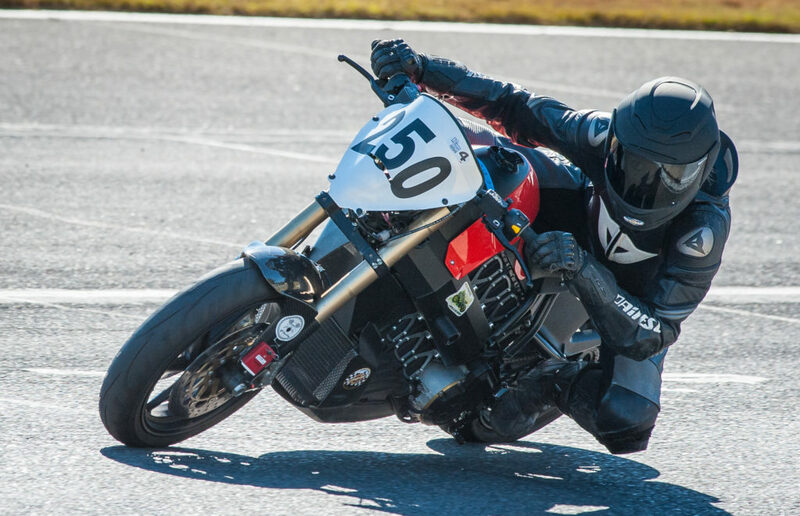 There are even Novice Production classes for racers just getting started …on a budget. In short, if you like old bikes, you’ll love AHRMA. As my motorcycle web business evolved, I noticed surprising cross-pollination between business and racing activities, which in turn advanced my own maintenance strategies, education resources, and restoration products designed to keep more old bikes on the road. What follows are some lessons, learned from racers, that apply to anyone who owns and rides a vintage bike. I hope to stimulate your own thinking on how you might better enjoy the old bike hobby. Good coaches can spot bad habits and help you replace them with proper techniques. Even if you have no plans to compete, you will still benefit immeasurably. Do it! 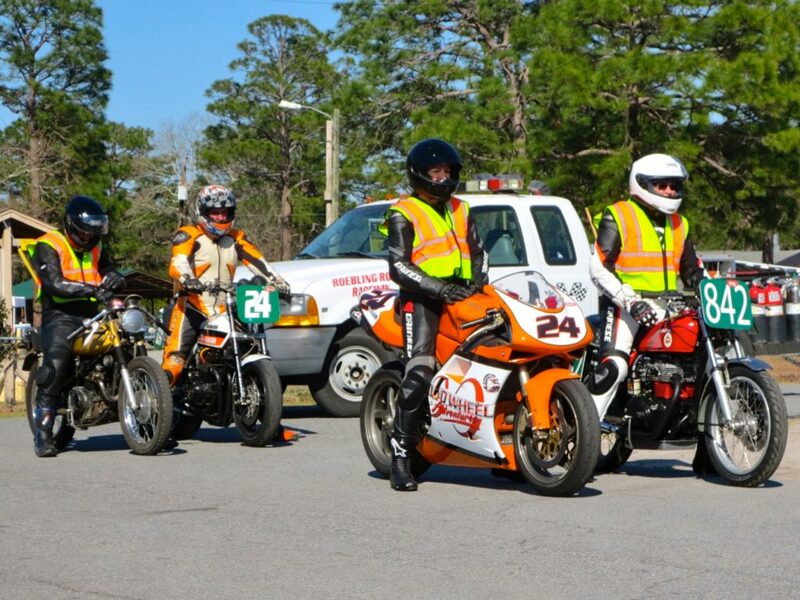 One of the best such events is the Fast and Safe one-day racer training events that AHRMA conducts on many AHRMA race weekends. Successful completion earns you a competition license with AHRMA. You can also race the same weekend if you’re interested. AHRMA Fast and Safe Training – Gateway to Better Riding! I can personally vouch for AHRMA’s well-designed training approach. Excellent instructors — Chris Carr, Murrae Haynes and Andrew Cowell — alternated classroom and on-track sessions to lead my class through an intensive, total immersion program. By the end of training, my class was carving corners with considerable skill and having a blast. Some of my classmates have gone on to successful racing careers. One even became a National Champ in very short order. Nothing beats individualized on-track coaching. But you can also learn from excellent specialty books that coach specific technical and cerebral aspects of motorcycle riding and competition. My library contains outstanding books by Keith Code, Reg Pridmore, Nick Lenatsch, Lee Parks, David Hough and others. My favorite is Keith Code’s Twist of the Wrist. Racers know that they can improve their riding simply via some serious armchair time with such material. My advice: read them all and apply the excellent advice. 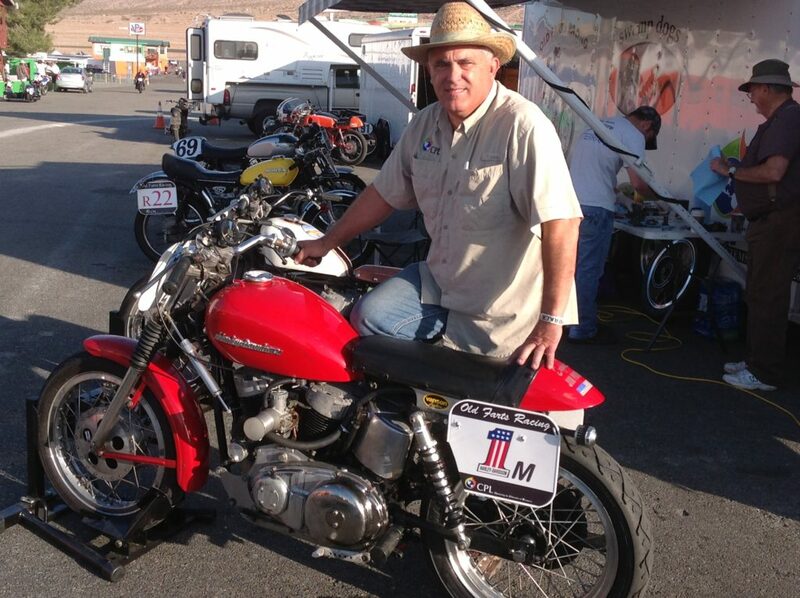 A 10-year involvement in vintage roadracing via AHRMA allowed me to spend hundreds of hours closely watching how top riders manage their riding and race weekends. Below are some useful observations. Top riders come in all shapes and sizes, but most are surprisingly strong and fit for their age. They all also have exceptional endurance to mitigate the negative effects of fatigue during a race. Face it: if you’re tired, your riding will surely suffer. Building core strength is essential. A strong core yields better upper body control and a lighter touch on the bars. This translates directly into more precision and less fatigue. Racers have many strategies to build beneficial fitness during the off-season. Some simply ride motorcycles, but most do some sort of off-the-bike regimen focused on building strength, flexibility, coordination and endurance. 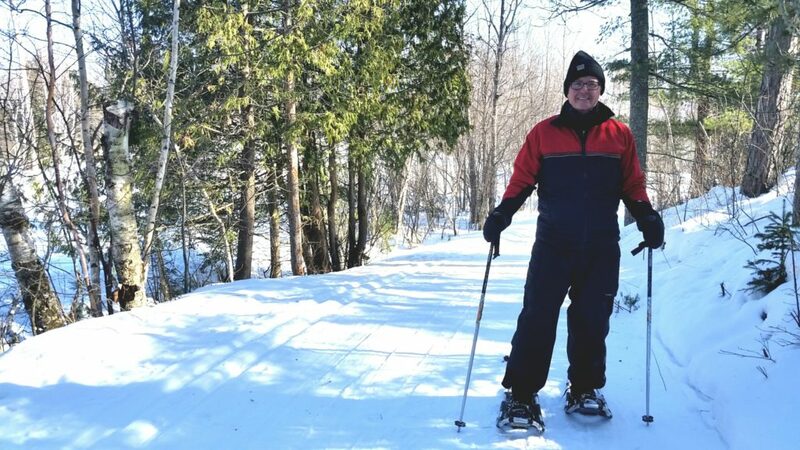 Great possibilities abound: stick-and-ball sports, skiing, hiking, running, kayaking, climbing and bicycling are all popular choices. Off-Season Fitness Training is Essential! Considering the strength, flexibility, coordination and endurance that racing requires, it’s no surprise that many racers are also excellent dancers. This crowd includes some serious Fred Astaire and Ginger Rogers types! Taking this observation to heart, I sought out ballet training myself. (Snicker all you like, but pound-for-pound ballet stars are among the best athletes on the planet.) I’m certain ballet training actually improved my riding via improved flexibility and balance. The main point is that even small improvements in fitness translate to better riding. Any activity is better than none, so pick something you enjoy, change it up often, and stick to a sensible plan. Dance Training Can Improve Your Riding! Racing is a “high burn” activity, which means that proper hydration and nutrition are a must. Dehydration is a fast path to diminished physical and mental abilities. It causes cramps, fatigue, brain fade and worse. Heat and heavy leathers compound the problem. Smart racers know this. That’s why you’ll rarely see them without a water bottle during a race weekend. Not the Best Choices for Racers! Racers also like to eat. Some seem to eat anything including “carnival” food at many tracks. But most develop a sensible eating plan that’s slanted toward easy-to-digest, long burning fuels similar to what long distance runners might favor. My friend Jackie St. John is an accomplished ultra marathon runner. Her well-balanced diet limits animal protein, soft drinks and processed foods. She seeks out energy-rich foods from the vegetable and fruit realm. Quinoa and sweet potatoes are “super foods” that get special emphasis because they offer multiple nutritional benefits per serving. Smaller, more frequent portions are better than “buffet” consumption and help ward off indigestion maladies. Overly large meals divert energy and rob available alertness on race days. Don’t stress over what you do or don’t eat. Simply crowd out “bad” food choices with more “better” choices. Eat to win …like Jackie! What about alcohol? 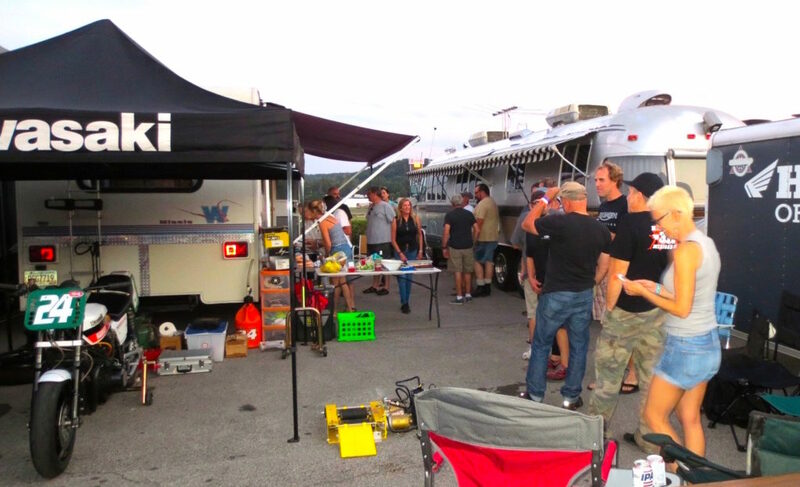 A nice cold beer after a long day of racing can be a pleasant reward shared with friends. But I’ve observed that the best racers have strict limits on the amount of such fun. Racing generally starts at 8:00AM, so a hangover is the last thing a racer needs. Racers like to say “You go where you look,” which is true. Disciplined to look as far down the road as possible at all times, racers give their brains more time to process the flood of information coming at them at warp speed, spotting the next brake marker or apex. Looking ahead slows down their world, allowing them to execute better decisions and react appropriately without feeling overwhelmed, rushed or panicked. Thus, good racers “see” better than normal people. I remind myself to “look down the road” every time I mount a bike. I also practice this skill when driving a car. Whenever things seem to come at you a little too fast for comfort, vision discipline could be your issue. Target Fixation can be the negative outcome of poor vision discipline. Because “you go where you look,” you never want to look at any object off the desired trajectory. Looking at unexpected or stray “off-line” objects near your line can be disastrous. The best advice? Use your peripheral vision to keep track of odd flotsam and jetsam off your line. Racers excel in this aspect of “seeing.” Peripheral vision provides context by boosting spatial and situational awareness while your brain processes the main task of seeing what’s ahead. Peripheral vision capability is somewhat genetically determined, but it can be improved though specific vision training. One simple way to improve peripheral vision is to learn to juggle. 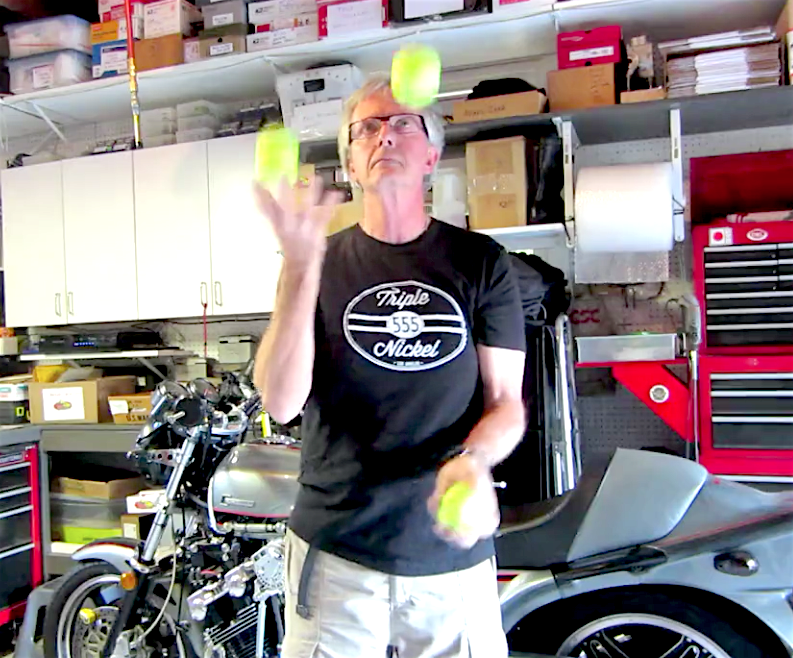 I believe that every motorcyclist should master the simple “3 ball cascade.” This is the fundamental juggling move and the basis for more advanced juggling. The key to juggling is to look at your audience with your direct vision. You keep track of the balls using peripheral vision. If you look directly at a single ball — target fixation! — the other balls quickly hit the floor. I keep a can of tennis balls in the garage and do a bit of juggling before each ride. This sharpens hand-eye coordination and reminds me to recruit peripheral vision during the ride. Master Juggling to Improve Your Riding! Top racers seek out activities to challenge their vision processing skills. One of the best such activities is Karting. 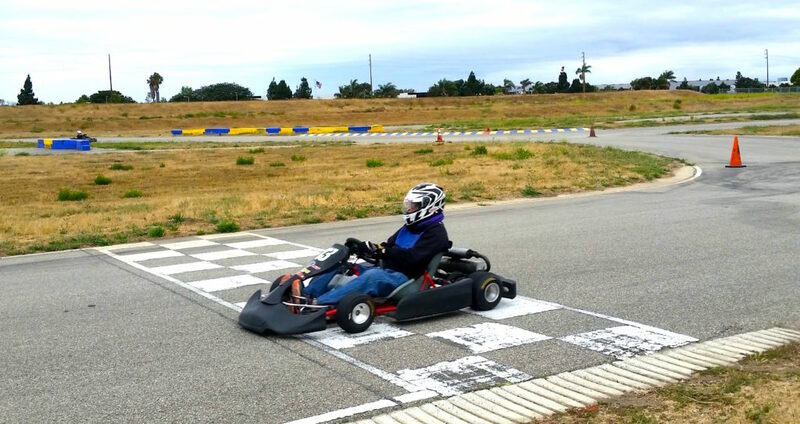 Track time on a Sprint, Enduro or Shifter Kart will sharpen your reflexes and boost how well you see. A typical Kart roadrace track has 15 turns or so in less than a 3/4 mile length track. Executing those turns requires continuous looking ahead to pick up the next apex and braking point in rapid succession. Professional instruction at a Karting complex is not only outrageous fun, but your riding will definitely improve. Excellent Kart training programs are offered by Jim Hall, Bob Bondurant, Skip Barber, CalSpeed and others. Once last vision tip: get an annual eye exam. If you wear eyeglasses, make sure your prescription is current and correct. Many of us who wear glasses need some sort of bi-focal or progressive correction. Find a vision specialist who flies airplanes or rides motorcycles. They understand how to optimize the correction “sweet spot.” This is critical so that you don’t have to tilt your head to check the cockpit gauges. 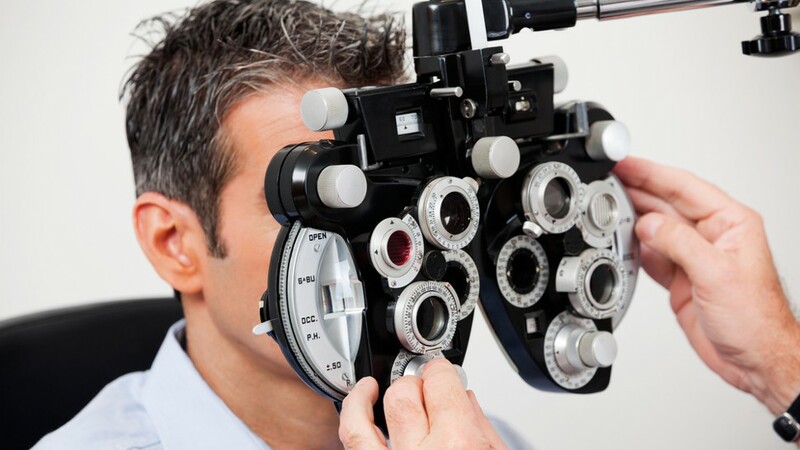 Annual Eye Exams are Crucial! Smoothness separates the very best racers from the rest of the pack. In fact, it’s perhaps the single most important determinant in any race of skilled riders on similar equipment. A light grip, delicate control inputs and careful body positioning moves help the bike do its work without unnecessary interference from the rider. Everything improves via smoothness: braking, cornering, acceleration, shifting, tire wear and more. 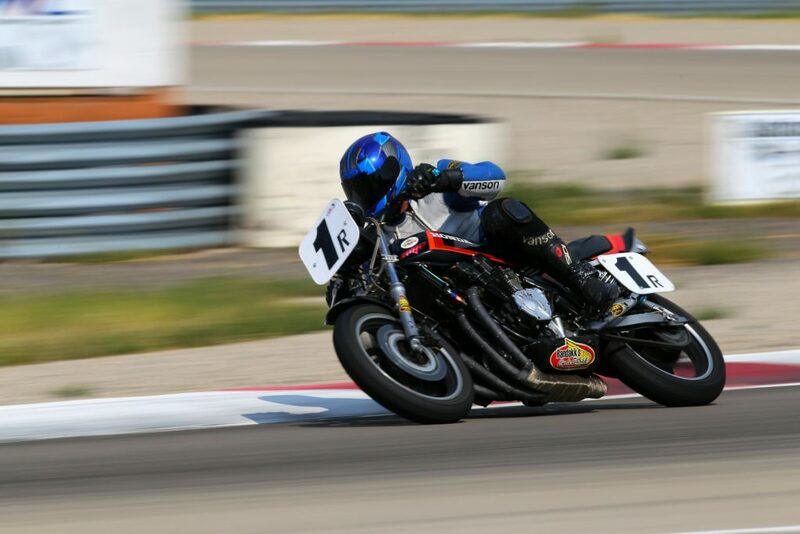 Dennis Parrish, 6-time AHRMA National Champ and great friend, is the master of smoothness! 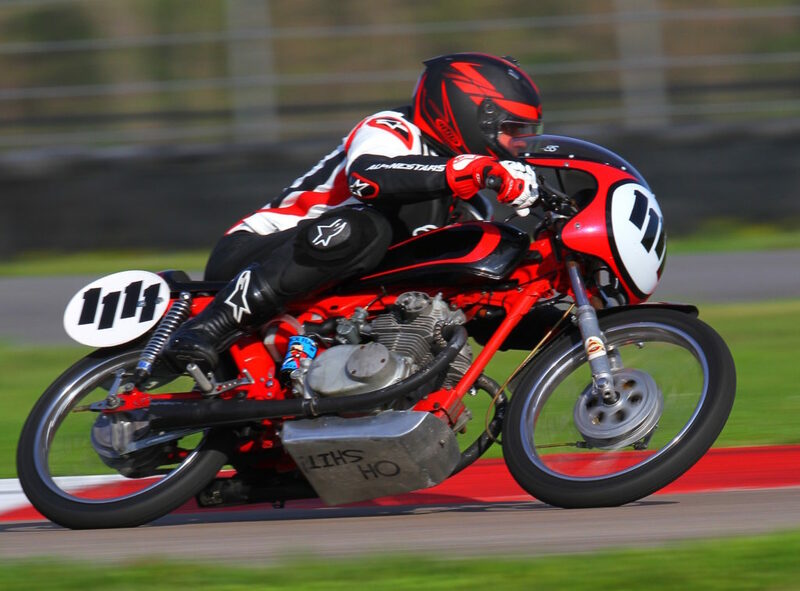 His stable of race bikes features vintage Hondas (CB900F-based) and Kawasakis (Z-1) that run in AHRMA’s premier Vintage Superbike Heavyweight class. A large person — 6’ 4”, 225+ pounds — Dennis uses ultra smoothness to routinely best riders who might be up to 75 pounds lighter. 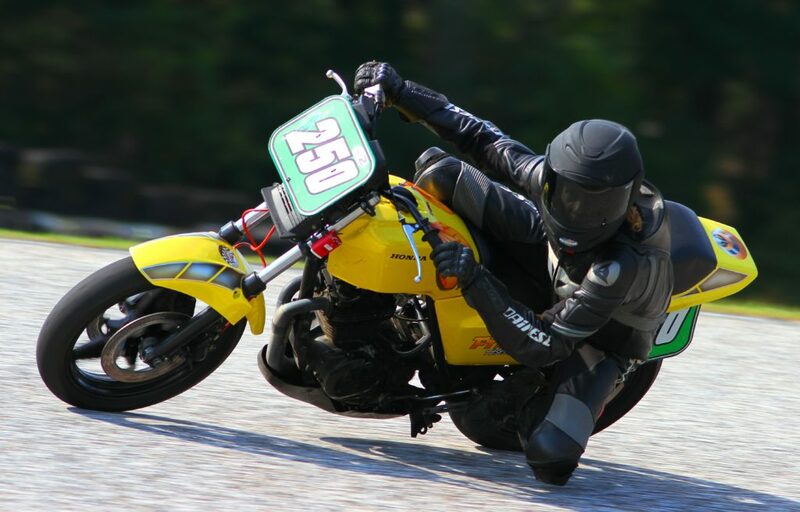 Dennis is even competitive on small, under-powered 350cc Sportsman Class machines. I try to channel Dennis’ smoothness whenever I ride. You should too. 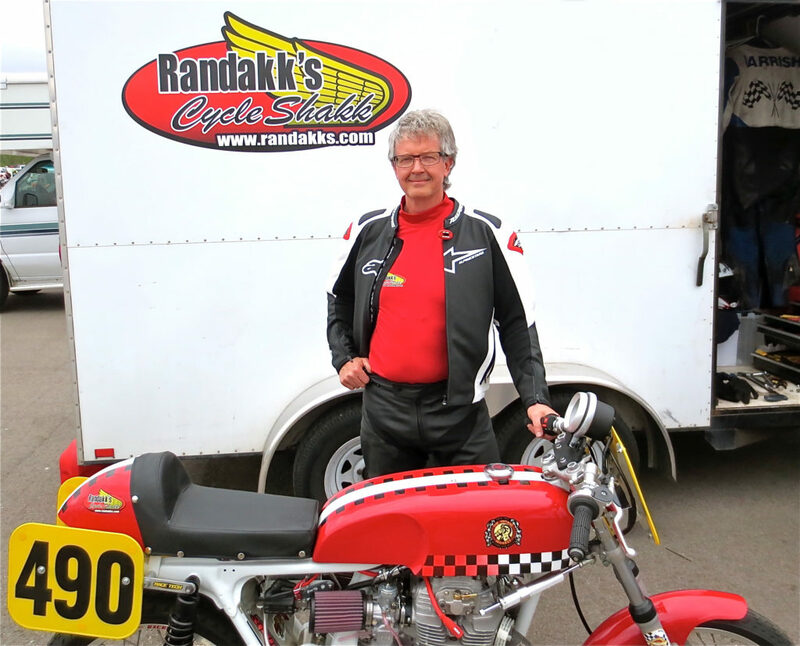 Randakk’s Sponsored AHRMA Rider Dennis Parrish – Master of Smooth! Countersteering obviously works in either direction. Racers actually use counterteering to aggressively “lift” bikes upright out of corners. This allows earlier throttle application for better drive out of turns. Minor point: at walking speeds, bikes actually steer differently, like tricycles. Happily, motorcycles spend little time in this mode. Don’t believe in countersteering? I challenge you to investigate and embrace this proven method before you take another ride. Professional coaching (per above) is the best way to master this absolutely vital technique. 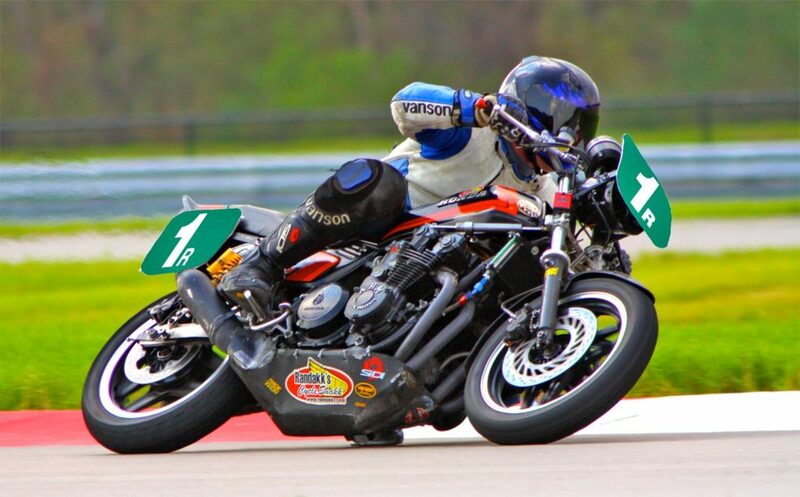 Brake systems on vintage race bikes range from awesome to anemic. Braking proficiency is key to making progress as a racer. Many vintage racing classes mandate archaic drum brakes. These are notorious for hinky personalities. Wooden “feel,” non-linearity, grab and fade are the norm. With track time and diligence, such temperamental brakes become less ornery. Trail Braking is an advanced technique worth mastering by every rider. Racers do most heavy braking in a straight line, then carry diminishing braking force all the way to the apex. This keeps the front tire “loaded” during cornering while adding stability. Trail braking is key to increased bank angle and higher corner speeds. The best way to learn trail braking is via expert instruction during on-track training sessions. Many AHRMA competitors are in their 50’s, 60’s, 70’s and beyond. Spending decades riding bikes tends to make balancing second nature, but balance skills do decline slowly with age. (This decline explains why some elderly people shuffle when they walk.) The best racers understand this natural decline in balance skill and fight it aggressively. Here’s the main takeaway: challenge your brain and body daily with simple and unexpected balance tasks to maintain and improve balance proficiency. You could take up gymnastics, unicycling, tight rope walking or even land a job with Cirque du Soleil. But even small efforts can have dramatic effect. Each day, I pick a mundane task, like shaving or brushing my teeth, and I do it standing on only one leg. I swap legs every day. I also do the tasks with my eyes closed because removing vision from balance tasks makes the effort much harder and requires more effort from the brain. Try this every day for a month. You’ll have better balance. Promise. AHRMA rules sensibly mandate serious personal safety gear for all competitors. Top-line helmets, leathers, boots, gloves, back protectors, etc. are required and inspected frequently for condition and date code compliance. My advice: follow the AHRMA example. Buy the best riding gear you can afford and wear it on every ride. Assume that one day you may do a thorough “field test” of your gear. Plan and act accordingly. Protect Your Hide …and Noggin! Racers learn the peculiarities of their machine and anticipate maintenance tasks before they escalate to mechanical problems. Comprehensive attention to bike maintenance leads to rider confidence, which leads to better riding. Most experienced riders would agree that motorcycle maintenance is like aviation maintenance: more is more. I prep my bikes as if they are low-flying airplanes. Maintenance tasks are handled accordingly with near-OCD attention to detail. Unlike modern automobiles, vintage bikes are not appliances. Truly, I have yet to see an over-prepared or excessively maintained race bike. AHRMA rules (and common sense) dictate safety wire for all critical fasteners and fixtures. Again, the aviation point of view is the norm here. Brake component attach bolts, sump drain plugs, oil filler plugs, axle pinch bolts and the like all get safety wire. I carry this sensible “best practice” requirement over to my street bikes as well. The most successful racers personally maintain the bikes they race. This aspect becomes part of the satisfaction of the overall experience. For some, this takes on a zen-like aspect which many, including I, thoroughly enjoy. The take-away for street riders? Pay close attention to maintenance tasks! Properly maintained vintage motorcycles are not museum pieces or fragile garage queens! If you own a vintage bike, you should ride it with an appropriate level of sporting verve. Case in point: Honda GL1000s are equipped with four exquisite Keihin carbs with numerous small fuel passages that incorporate rather tiny jets. These bikes are actually happiest when they routinely spend time exercising the mid-range and high-speed fuel circuits to keep them clear and clean. You can’t do that puttering around the neighborhood at 20 mph. Incorporate several brief excursions to redline. 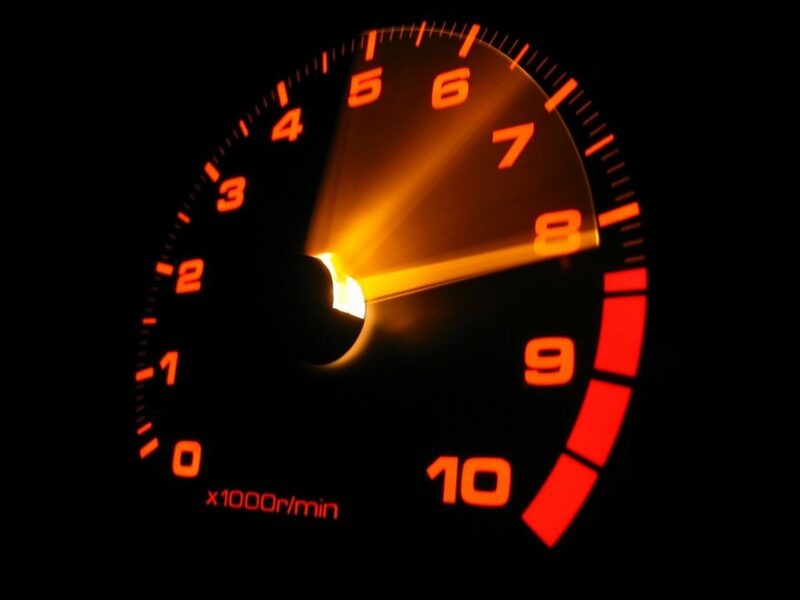 Second gear is perfect and tends to keep you more or less “legal” without too much drama. This simple ride element demonstrates that your bike is making full power with no fuel or ignition issues. Verify clear roads in all directions, then execute several full-on near “panic” stops eventually approaching threshold braking. You can’t perform maximum braking when needed in an emergency unless you practice. The front brakes will do 90% of the work, but you’ll want to develop sensitivity with coordinated rear braking as well. AHMRA rules generously allow upgrades to highly recommended and more reliable modern items such as better gaskets, cables, clutches, switchgear, batteries, gaskets, lubricants, oil filter / cooler conversions, chain-to-belt primary conversions, cartridge fork emulators, sump check valves, and more. One of the best upgrades is probably switching to an electronic ignition replacement, especially for bikes originally delivered with a breaker point setup. Mechanical Problems – Not Fun! Racers arrive at each event with well-prepped bikes in a razor state of tune. 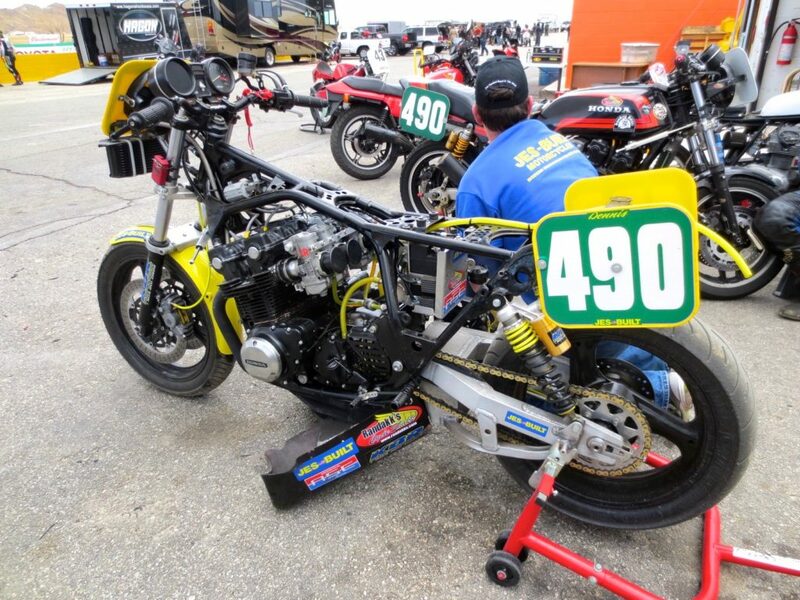 During the race weekend they may experiment with jetting, gearing, suspension settings or other fine calibrations, but the best racers have a well-tuned bike that runs great as soon as it rolls off the trailer. Well-tuned bikes are not only faster, but easier to ride as well. Racers rarely have brake issues because they address brake maintenance long before bikes arrive at the track. They change brake fluid frequently to avoid the degradation of moisture absorption. Ditto for pads or shoes. They check rotors and drums frequently for warps, cracks or excess wear. 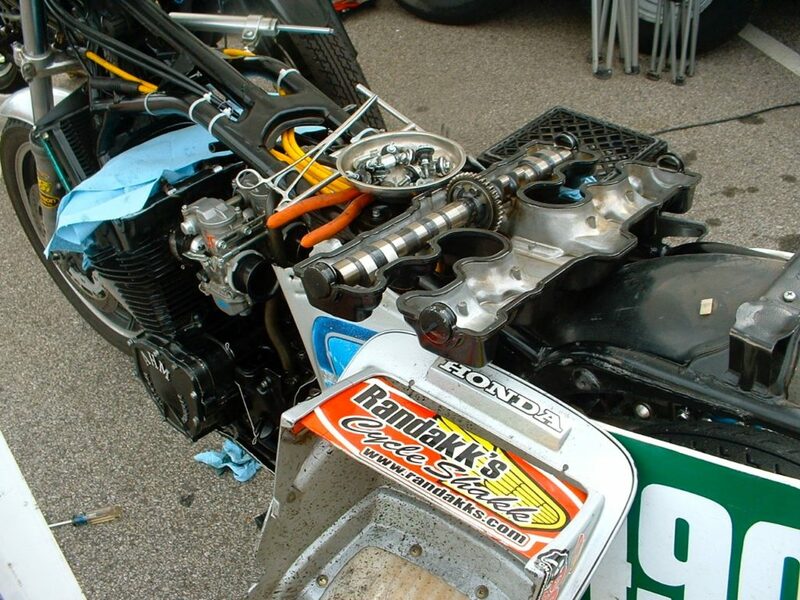 Braided hoses are the norm on race bikes. Racers won’t tolerate any bike with improperly bled brakes! Beyond dodging brake hassles at the track, racers know that 100% effective brakes are vital for safety and competitive lap times. Racers spend lots of time optimizing suspension hardware by matching the machine’s performance envelope to the rider’s weight and riding style. Generally, AHRMA rules allow considerable improvements over OEM hardware. Shrewd investments in allowable suspension upgrades can yield signifiant improvements in handling characteristics. If your shocks are 30+ years old, consider an upgrade. Tires represent the single greatest consumable expense for most racers. Successful racers view tire expense as a non-negotiable, no-compromise necessity. Racers have favorites, but most run the best race tires available for the sizes dictated by their class rules. Whenever there is any doubt, they replace tires. Fortunately, track vendors can mount new tires quickly. Follow the racers’ example and keep fresh rubber on the ground. Monitoring tire pressure is an obsessive pursuit in the pits. Racers know that very small tire pressure adjustments have a big impact on handling performance, tire wear and safety. They use high quality, extremely accurate tire pressure gauges. So should you. AHRMA competition is fierce, but friendly. And the brightest, friendliest, most energetic, talented, active and interesting characters I’ve ever known from any arena populate AHRMA’s brotherhood. I’ve formed life-long personal and business ties that have altered the arc of my life in a positive way. The racing is compelling of course, but swapping tall tales in the pits is probably the most entertaining aspect. Competitors are notorious for riding the wheels off to best fellow competitors during a race, then wrenching furiously between rounds to lend help (and spare parts) to riders who needs repairs to make the next race. “I got involved with AHRMA over 12 years ago. I went to the very first Barber Vintage Festival and got hooked bad! The people, the bikes, the racing, the crowds …it was all amazing! My involvement has taken time, resources and dedication, but I wouldn’t trade it for anything! Simply put, AHRMA is FUN whether you’re competing or watching. And you don’t have to go 170 mph to have fun racing, Some of the smaller displacement classes (down to 125cc) attract large fields and generate extremely close racing. Going 80 mph on a small bike with drum brakes and skinny tires can be quite a thrill with lower overall risk. While roadracing is AHRMA’s main activity, the organization also supports off-road and flat track racing both regionally and nationally. Further, AHRMA now includes classes for popular modern bikes as well. There’s even a class for eBikes that bristle with cutting-edge green technology. 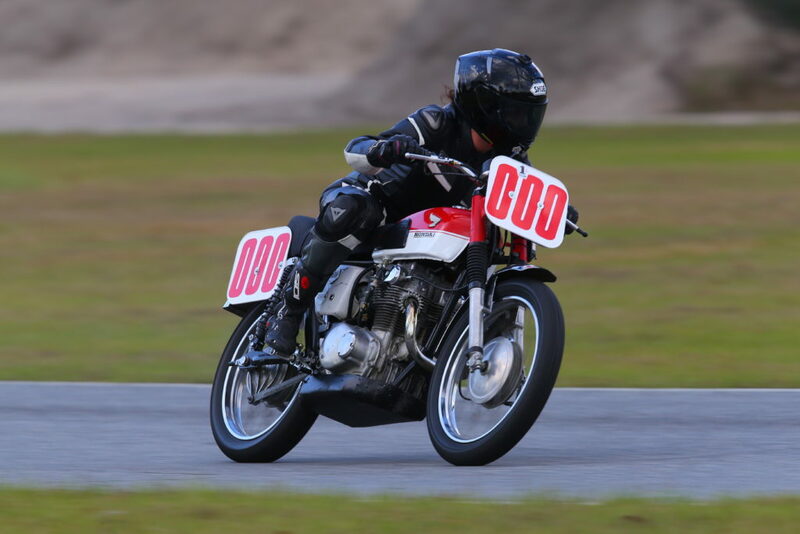 AHRMA is not just for the boys: a large and growing contingent of women compete as well. AHRMA events are fan-friendly. Spectator tickets are reasonably priced and allow full access to the race paddock where you can immerse yourself in the machines and pit action. Close proximity to the bikes allows great opportunities for amazing photo ops. On AHRMA weekends, I usually fill up all my cameras and memory cards on day one. At some tracks, even the food is impressive. Each October, AHRMA holds its most prestigious event during the Barber Vintage Festival in Birmingham, Alabama, a “bucket list” event for anyone with a passion for motorcycles. Last year’s even drew over 75,000 spectators. In addition to expanded fields for AHRMA’s race action, you can enjoy the world’s largest and best motorcycle museum. The track and grounds are impeccably groomed and sport unexpected and delightful artistic flourishes. The flea market attracts hundreds of vendors with merchandise from the mundane to sublime. 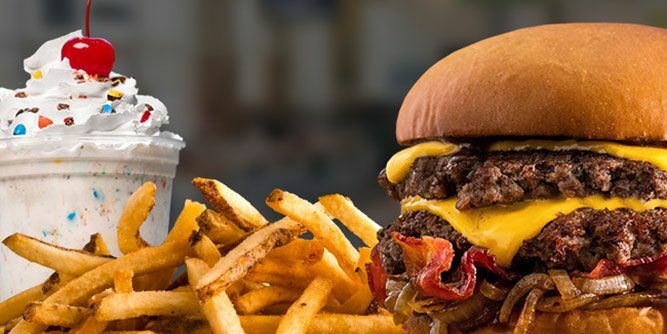 You will probably be tempted at every booth, so bring your wallet. Racers are friendly and happy to answer questions from anyone interested in their passion. Think you might want to compete? The AHRMA racing community is full of helpful ambassadors eager to recruit newcomers (of any age) into the sport. AHRMA is fun, engaging and highly entertaining. Amazing machinery and great people are a compelling formula. Do yourself a favor and spend a day or weekend at an AHRMA event near you. You will thoroughly enjoy the experience.